This die-cast aluminum landscape spotlight is great way to illuminate gardens or plants and comes in a handsome bronze finish. 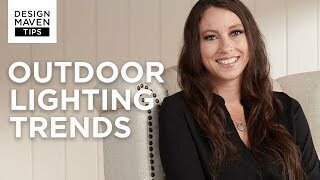 Use this spot light to illuminate gardens or pathways or for safety purposes in a walkway. This light features a bronze finish and an energy efficient LED light source. 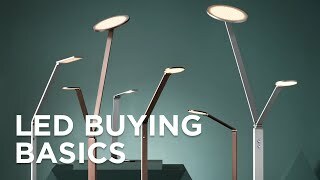 The LED will last for years, eliminating the need for costly bulb changes, and uses far less energy than comparable landscape designs. 7 1/2" high x 3" wide. Built-in, energy efficient 4 watt LED, 3000K color temperature, 340 lumens, comparable to a 35 watt incandescent bulb. 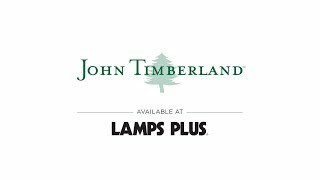 From the John Timberland® line of outdoor landscape lighting. Bronze finish; landscape spotlight is ideal for pathway or garden lighting. For use with low voltage landscape lighting systems. They go perfectly in our yard with all of our landscape decor!!! I need a spotlight for my garden. I will place it near my fountain and it's on sale! We already have six and LOVE! I need 9 of these lights-How big of a transformer do I need? What would be the total cost? Does this include wire and hook up devises? BEST ANSWER: Hi - I have added the 8 piece set below which includes a transformer and wire. You can then add three more individual lights to complete your set. 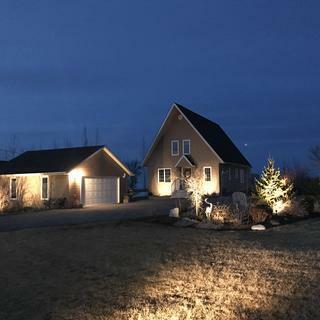 I purchased John Timberland LED landscape lights and low voltage transformer. After installation, my garage door opener has basically quit working. I have read there could be RF interference being generated by the lights/transformer. Does anyone have any suggestions? BEST ANSWER: Hi - I have heard of plug-in transformers sometimes having an effect on garage door interference. It may also have to do with your circuit break box being near the garage door which may also have something to do with it. Unfortunately, the only solution at this time is to try a different transformer. BEST ANSWER: Yes. Ours works well. You do need to put it where there's enough sunlight to power it, of course. No there’s no mount. It’s just a stick in the ground type deal. That’s it. Yes it comes with a easy to install mount . I have some of these spotlights that have either burned out or quit working - maybe 8 out of 16 no longer work - they were all purchased and installed about 7-8 years ago, but I thought they all would last the same amount of time as they are all on the same timer/transformer. How is it passible that some just no longer work since the bulbs are not replaceable? I can see this illuminating trees but how does it light a pathway? BEST ANSWER: I have added a helpful link below to our available pathway lights which will compliment this spot light very well. This is really a spot light, a portion of the pathway might get illuminated by the reflection off a tree or other surface. Could you point it at a low angle towards the ground, yes, but it would look silly. Path lights are better suited for that application. Good luck! what size is the thread on lamp where is attaches to the stake? BEST ANSWER: Hi, the diameter if the threads is .5". Does the fixture come with a wire to connect to others? BEST ANSWER: Yes - each light includes plenty of lead wire to connect to your main low voltage wire. The fixture includes lead wires to connect to the main line, which attaches to the transformer/controller. You will need to purchase your line wire separately unless you are buying a kit with specific notation of inclusion. Be sure to measure your run length allowing for slack to install your lights and wire burial. Yes it has a ~3' lead. You've got to look closely for the positive/negative. Good luck. What is angle of beam? BEST ANSWER: The beam spread on this light has a 120 degree angle. can this light be mounted on brick on front of house? BEST ANSWER: It can with a wall mounting bracket. Unfortunately, we do not offer such a bracket for this light. You may be able to find one at your local hardware store. Does this light come w connectors? BEST ANSWER: I don't specifically recall because I spliced, connected, capped and taped my six lights. In my opinion this is a far better method than using connectors. No problems with lights now through all seasons. Very pleased with purchase. Yes it has the typical connectors to splice into a low voltage line. We put in 5 so far as replacements for older lights and they are very nice. Good looking and bright. is there a spike that goes in the ground. If so how long? How many lumens and Kevins does this light have? I'm look for a white light something over 4000 Kevins. BEST ANSWER: The spot light has a built-in, energy efficient 4 watt LED. It has a 3000K color temperature and 340 lumens. 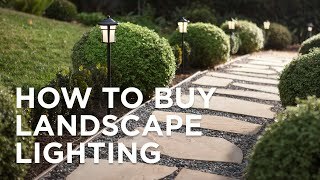 Unfortunately, we do not offer a landscape spotlight with a Kelvin rating higher than 3000K. Is it possible to replace the bulb in this fixture? I would like to replace the bulb with a lower watt bulb. BEST ANSWER: Hi - the LEDs in this design are built-in and are not replaceable. If you are looking for a lower wattage or lower lumens design we might have something that could work for you. Please contact one of our lighting specialists at 800-782-1967 and they can suggest some options that will suit your needs. I'm looking for spot light with a narrow beam, not like a flood light. How wide a bean does this light produce? BEST ANSWER: Per the vendor, the single LED beam spread is 120 degree angle and it’s pretty much like a flood light NOT with a narrow beam. BEST ANSWER: Yes, this is made from die-cast aluminum. Nice solid lamp. Pleasantly surprised at the amount of light it generates for such low wattage. Super lamp for the price. Hi Paul N., so sorry to hear that your light stopped working so quickly. Would you please reach out to our customer service team at 877-704-2425? We'd be happy to help you. Thanks! Appears to match Kichler lights we have purchased in the past. Heavy feel, and low amperage LED.